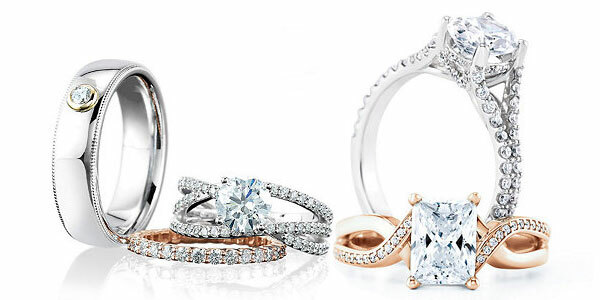 The Two Stone Diamond Engagement Ring symbolizes the love between you and your spouce. 1 stone for you and one for your love. At Houston Jewelry we have some amazing Two Stone Diamond Engagemnt Ring styles for you to choose from. Whether you are looking for one ready to go our would prefer to pick each stone yourself, Houston Jewelry has the perfect Two Stone Diamond Engagement Ring for you. Stop in our showroom today and allow one of our diamond specialists to assist you in finding that perfect ring to match your personal taste and style. If for any reason you do not see that one style that grabs your eye we will custom make one just for you. Please click here for information on financing your two-stone engagement ring.